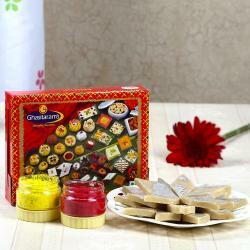 Product Consist : 500 Gms Soan Papdi Sweets along with 2 Holi Colors. Holi is the time to develop understanding and love for each other. 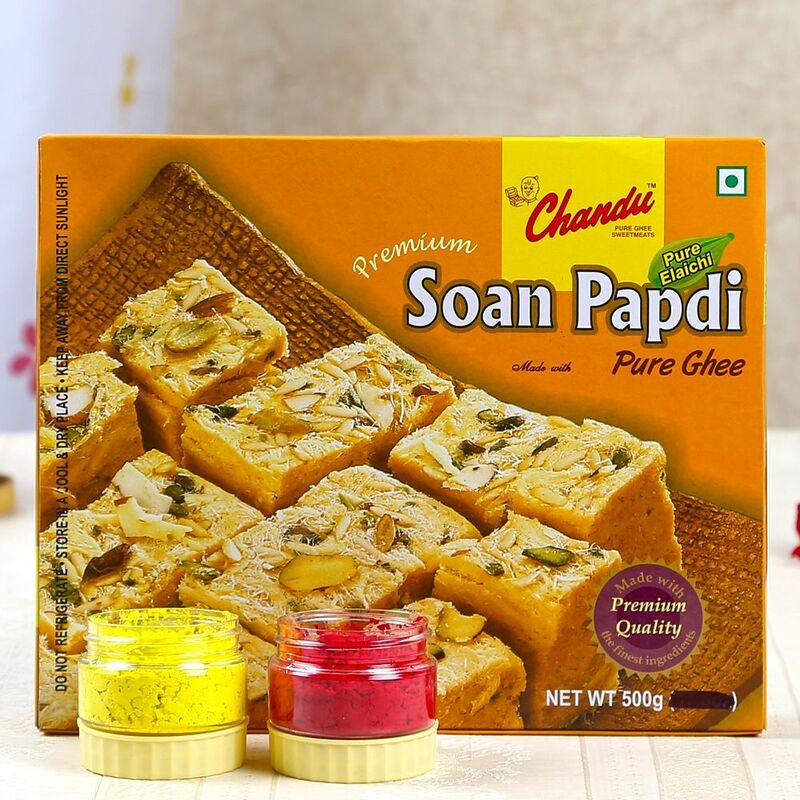 Giftacrossindia is a best platform for helping our customers to maintain religious belief also it helps to renew your friendship and relationship and to express heartiest love by scribbling a beautiful Holi message with Soan Papdi Sweets with Two Holi Colors items home delivery for your loved ones. The best of the sweets served with the best of the feelings is all you need to present to your special ones to let them know how important they are to you. 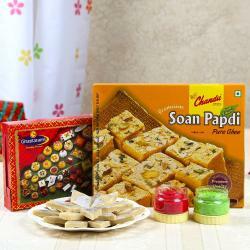 So, gift them with this Soan Papdi and let them know elegantly that you care. This can make any ones festival special that express your sentiments easily also it completes the festival traditional touch as it makes your gift more memorable. For Festival theme is a perfect gift idea. It is in very reasonable rate but it always looks quite expensive and classy. 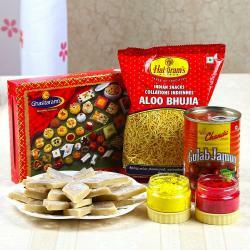 No what else can reflect the festivals of colors then colorful hamper for Holi. This occasion represents the arrival of spring and the triumph of good over evil. 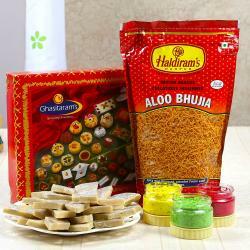 So let's your receiver to play holi naturally with this gift products. This combo is presented as gift to any one like to your Staff colleague, Best Friend and to many more. If you are looking for some exotic Holi Hampers for your dear ones, friends and family, then head to Giftacrossindia.com the largest variety gifting store of India. Browse your favorite products, it is very conveniently available for online shopping from anywhere in India with Free Shipping. Product Includes : 500 Gms Soan Papdi Sweets along with 2 Holi Colors.